With the 2018 match cycle in full swing, we sought the veteran advice of four current residents who successfully underwent the 2017 match process. They kindly shared takeaways from their experience for the future applicants. This is the second installment of our two-part interview series. Please read Part I of our series here. Tina Sankhla [TS] is a PGY-1 at Bassett Medical Center in Cooperstown, NY to begin an integrated IR residency afterwards at Emory in Atlanta, GA.
Mari Tanaka [MT] is a PGY-1 at Massachusetts General Hospital in Boston, MA who will continue on in an integrated IR residency there. 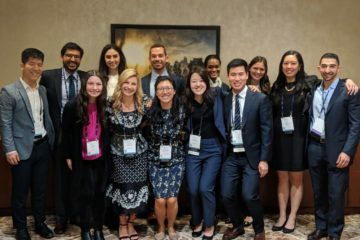 Maggie Chung [MC] is a PGY-1 currently training at Scripps Mercy Hospital in San Diego, CA with diagnostic radiology training to follow at the University of California, San Francisco. Kyle Wilson [KW] is a PGY-1 at the University of Michigan in Ann Arbor, MI who will continue on in an integrated IR residency there. How did you schedule your interviews and what was your interview season like? [TS]: I initially tried to spread my interviews out geographically, grouping together interviews in the same region in the same weeks. But as more interview offers came in, and dates filled up quickly, I just tried to get any dates I could. I ended up doing some redundant travel, flying out to Texas twice, making three trips to NYC. I would say try to get any date you can, it’s better to have inconvenient travel plans than lose the opportunity to interview at a program you are interested in. And you can always cancel interviews, ideally with at least 3 weeks’ notice, if you can’t make the travel work out. I also made sure my first two interviews were at places that were not super high on my list, so I got to practice in a low-pressure situation. [MT]: I tried to schedule my interviews primarily in November and December when I had a much more flexible schedule. I had a few in January, which tended to be on the west coast. [MC]: To facilitate geographic grouping and minimize travel cost, I would suggest applicants go on last year’s SDN thread on IR interview dates to get an idea of when invites go out and when they usually offer interview dates. Many west coast programs offer interview dates late in the year, so I would suggest blocking out most of January ahead of time for these interviews. If there are programs you really have your eye on, I would recommend checking what dates they offered last year. This can help you have an idea about how to schedule other interviews while minimizing overlap with your top programs. Keep in mind that some programs only offered a few interview dates, so it can be difficult to make everything fit. If you are going to be away from your phone on a rotation, I would suggest having a friend check your email updates and schedule your desired interview date for you. Once an interview invitation email goes out, the most desirable dates get booked within minutes. [KW]: I interviewed for 10 IR residency programs and 5 DR programs between the end of October and the end of January. I drove to most of the east-coast interviews and relied heavily on my Southwest credit card for points. I stayed in AirBnBs or on friends’ couches as often as possible to save money. Did integrated IR and DR programs at the same institution send out invites and interview together or were things more staggered? [TS]: At the beginning of interview season, a lot of the offers were staggered where I got the DR invite first, and then the IR offer later in the week. And I only interviewed at 1 program where the IR and DR interview were on two separate days – everywhere else did a joint interview day where everybody interviewed for DR and the IR applicants just had a couple extra interviews or stayed longer after the DR applicants were done. [MT]: Most programs interviewed together. Sometimes the invites were sent out separately, but when the programs realized that they were both planning on interviewing the same person and it made more sense to interview together, it happened. I think that this was largely because it was the first time for many programs that this situation occurred. [MC]: This is program dependent, but most sent separate invitations on the same day. Any tips on navigating the process if only one program at an institution gives you an interview? [TS]: I would recommend emailing the IR program director and letting them know that you are very excited to have received a DR interview at their institution and reiterate your strong interest in IR. Not sure how effective this would be at securing an interview offer, but it definitely doesn’t hurt to try! [MT]: For the most part, I felt like this happened that you would get a DR interview and not an IR interview. I took these interviews seriously and inquired about IR from an ESIR standpoint. Many programs have different plans in place for their IR/DR, ESIR, and their ability to send their DR residents to IR fellowships. It is worth it to hear their thoughts and track records to figure out what works best for you. [MC]: It wouldn’t hurt to email the other program, letting them know you got the other interview, and reiterating your interest in their program. [KW]: If you’re interested in the program that extended the offer, go to the interview. It is impossible to tell why they didn’t extend an invitation for the other program, and you’d be wasting your time trying to figure it out. How would you compare your DR interviews to your IR interviews? [TS]: I think overall the DR interviewers were very laid back, and we mostly talked about our hobbies and interests outside of medicine, as well as why we wanted to do radiology. Most of the IR interviews were pretty relaxed as well, but those interviewers more often asked about things like research experience and career aspirations. The IR interviews were a little more intense, but still far more laid back than the ones you hear about from colleagues going into surgery subspecialties. [KW]: The DR PDs were overwhelmingly happy to talk with me and show off their programs. The only discernable difference was that they were uniquely interested in my thoughts on DR training. They wanted to be reassured that I thought it was equally important to my future, and that I wasn’t going to blow it off. They wanted to know that I didn’t plan to sequester carbon in their reading rooms for 3-4 years while I waited idly for my IR rotations to start. They wanted to know that I appreciate to importance of DR to IR. They also have a business to run, and if they’re going to take time to teach you how to read, you owe it to them to help them with their daily tasks. They want to see that you understand that. What kinds of questions did you ask while on interviews? [TS]: I always asked about the breadth and volume of cases, and opportunities for research. This was my least favorite part of the interview since so much information would be covered in the information session at the beginning of the day, but basically everyone has a list of the same questions they ask at every program. Make yourself a list and try to make the questions sound spontaneous. [KW]: I asked about exposure to PAD and PVD cases, because this is waning at some institutions, and I asked about relationships with vascular surgery. I wanted to be in a place where both departments got along and were dedicated to training residents from the other discipline. I didn’t want to walk into an adversarial environment. Residency is hard enough without having to navigate a broken relationship that you didn’t destroy in the first place. Any tips on interviewing with either IR or DR and conveying interest in both? 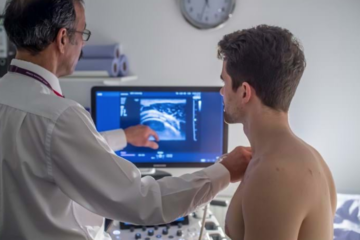 [TS]: Make sure to express your interest in both IR and DR. As IR becomes a much more clinical specialty, the ability to interpret the imaging, use the imaging to guide your planning of interventions, review it in clinic with your patients, and then perform the intervention under image guidance, is going to be what continues to make IR such a unique field. [KW]: Always tell the truth. If you want to go into IR, say it, definitively. And develop an appreciation for the necessity of DR to the practice of IR. DR cranks out RVUs while IRs are in clinic. And IRs need to know how to interpret complex imaging studies to do their job. If you can’t read a CTA, you’re just a vascular surgeon who can’t do open cases. Would you suggest writing thank-you notes and what was your strategy to communicate interest in a specific program? [TS]: I suggest writing thank you emails to program coordinators and program directors. If you have time and/or had a particularly enjoyable conversation with any of the other interviewers, go ahead and email them thank you’s as well. While I doubt these emails have any major impact on the program’s eventual rank list, it is a nice thing to do and good practice as it is standard to write thank you’s any time you interview for any job. Additionally, writing the emails gives you an opportunity to think back on your interview day and synthesize what exactly you liked and what the unique aspects were about the program. [MT]: I always wrote thank you notes because I was thankful for the interview and the time I spent with the faculty and the program. I emailed my #1 program and informed them that I would be ranking them as such in a short email also explaining why. [KW]: Thank you notes are nice, but I didn’t write any. If you’re going to take the time, make sure your note actually says something, and send it via e-mail so the recipient can easily respond. Banalities and clichés are a waste of time for you to write, and for your interviewers to read. What were your considerations when creating your rank list? [TS]: In addition to all the basics like breadth or volume of cases and research opportunities, some things I considered strongly were resident wellness and geography. I did not want to be at a program where I was overworked and exhausted all the time, so I made sure to talk to residents about their experiences and highly considered how happy the residents seemed when making my rank list. And 5 years is a long time, so I made sure to learn a little bit about each location while I was visiting and only rank programs that were in places I could see myself enjoying living. [MT]: I was advised by my mentor that when putting together a rank list with both IR and DR programs to rank them assuming that if you get DR, a spot in IR is not guaranteed. So if other factors such as location or you liked a very strong DR program are in play, I would ask myself if going to that place is more important to you than ever doing IR. That really clarified my ranking list decisions. I would like to emphasize that that way of thinking is a “worst case scenario”/very conservative way of thinking. It is a thought exercise to guide you with making a rank list more than an eventual reality. 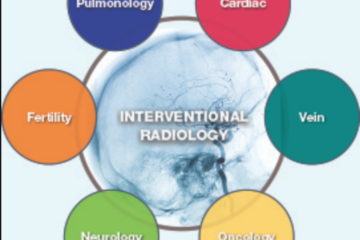 If you match in to DR, there are MANY ways to become an interventional radiologist. [KW]: The greatest consideration you should make when assembling your rank list is where you can get the best training for yourself (which is probably different from the best training for me). This should pretty quickly be followed by the needs of anybody who is planning to follow you to your next institution (i.e. partners, children, etc.). I did rank IR programs before DR programs, but I’m not convinced that was the right choice. If I to do it over, I might intermingle them. SIR and the ACGME have gone out of their way to make sure that students who want to practice IR will be able to. You can get there through an IR residency, an ESIR program, or an independent IR residency. In 2017, there is no data to suggest that one of these paths is superior to another, so anybody who asserts that claim is speculating. Go where you know you will have good training, dedicated mentors, fun colleagues, and something interesting to do when you’re not at the hospital or sleeping. If that means a different institution for PGY-1, DR, and IR, so be it. We want to express our collective and sincere thanks to Drs. Sankhla, Tanaka, Chung and Wilson for their time and advice. Please recognize their guidance and opinions as representative of their experiences. With the integrated IR residencies being quite new, changes are ever in motion and new trends and patterns in the process will likely develop.